Blockchain entrepreneur and creator of the Tron platform has purchased the peer-to-peer (P2P) file-sharing network BitTorrent Inc. According to Variety, the deal was finalized last week when staff were notified of the new partnership, though company representatives nor Sun responded to requests for comment. Sun’s acquisition has been in the works for some time now. Last month, following an announcement from TorrentFreak, we here at NewsBTC reported that he was actively pursing the company. The process began when Sun signaled his interest last September. In January he signed a letter of intent. Despite this interest, the acquisition has not gone very smoothly. The deal seemed to be up in the air when BitTorrent initiated talks with other bidders earlier this year. In response, Sun filed a temporary restraining order, arguing that BitTorrent had agreed to not pursue other offers. Eventually, despite the crossed wires, Sun dropped his lawsuit and the acquisition moved forward. Last week, Sun’s newly-renamed Rainberry Acquisition filed a change of status with the California Secretary of State due to a pending merger. On the same day, BitTorrent’s Rainberry Inc. also filed for a merger, which suggested that the two companies had merged. Now, it is clear that Sun has indeed acquired BitTorrent, although at present staff and shareholders have been asked not to talk to the press, according to a source with knowledge of the transaction. Financial details regarding the move have not yet been released. 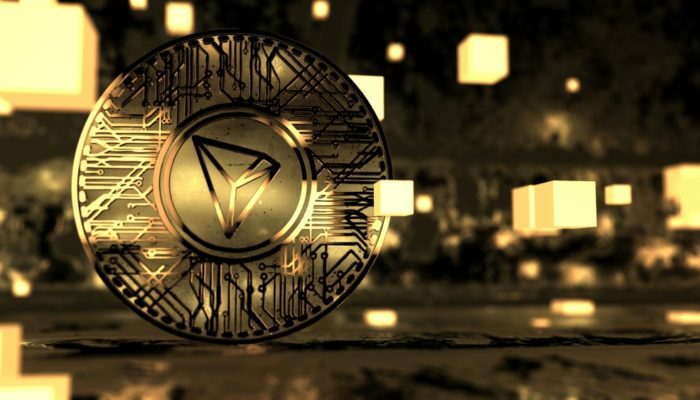 But the total market cap of Sun’s TRX cryptocurrency is currently around $4.78 billion, $1.65 billion of which is being held by Sun’s Tron Foundation, so the money is certainly there. Tron’s mission is to build a decentralized internet where developers can build blockchain-based applications, one which leaves no room for the centralized technology giants like Google and Facebook that people have come to rely on today. As such, the plan by Tron’s creator makes a lot of sense, because the file-sharing network has always focused on decentralized, P2P, file-sharing technology, so the firm definitely has a role to play in Sun’s vision to decentralize all online activity. What’s not clear, yet, is exactly how this will happen. It’s worth remembering that BitTorrent changed the internet as we know it. In fact, thanks to its P2P technology, the company was once dubbed a ‘future unicorn of Silicon Valley.’ Unfortunately, primarily due to internal struggles, things have not played out as BitTorrent planned, the deal with Tron being the latest move in a long and tumultuous corporate history for the company. More than 10 years ago BitTorrent raised millions of dollars to build an entertainment business on top of its P2P file-sharing platform. Those plans failed and BitTorrent was forced to lay off much of its staff and recapitalize in 2008. In the following years, BitTorrent proceeded to grow its business through ads and bundled software, at one point reaching 150 million monthly active users. That changed in 2016 when two outside investors gained control of BitTorrent and spearheaded an expensive expansion into the media space, including the opening of a Los Angeles production facility. Those efforts ultimately faltered and both CEOs were fired that same year. Last year, BitTorrent proceeded to shut down its live streaming business. Some of the core technology for BitTorrent Live was developed by BitTorrent founder Bram Cohen, who has since moved on from the company. Interestingly, Cohen is now the CEO of Chia, an energy-friendly cryptocurrency which is powered by Proof of Space and Proof of Time, alternative protocols to Bitcoin’s Proof of Work. There is no connection between Sun’s Tron and Cohen’s Chia.